FEATURE – Looking for a place to get away this fall, even just for a weekend? For those in Southern Utah, nearby southern Nevada offers its own red rock sublime scenery and recreation opportunities that are especially enjoyable with fall’s cooler temperatures. To help out on the decision of where to go for a quick weekend getaway, below are two less-popular, non-national park areas in southern Nevada, both within five hours of the St. George area that the whole family will enjoy exploring. These sites are ideal locations for children, who could spend hours climbing, exploring and learning about the history, geology and nature of these unique locations. Cathedral Gorge is a spectacle of erosive forces, a display of rock spires, outcroppings and canyons carved in soft bentonite clay. “We are the best kept secret in Nevada so people can come here and enjoy the park without the large crowds of other state and national parks,” Andone said. The park has about 10 miles of hiking trails, 6 miles of which are accessible to mountain bikes and horses. Narrow slot canyons in the park are also a big draw to visitors, Andone said. Cathedral Gorge boasts a 24-site first-come, first-served campground with electric hookups. The campground has bathrooms with hot showers and a dump station for recreational vehicles. Other attractions in the area include four other Nevada state parks: Spring Valley, Echo Canyon, Beaver Dam and Kershaw-Ryan. Also nearby are the old mining town of Pioche, the historic railroad town of Caliente and Panaca, which was the first settlement in Eastern Nevada, founded in 1864. 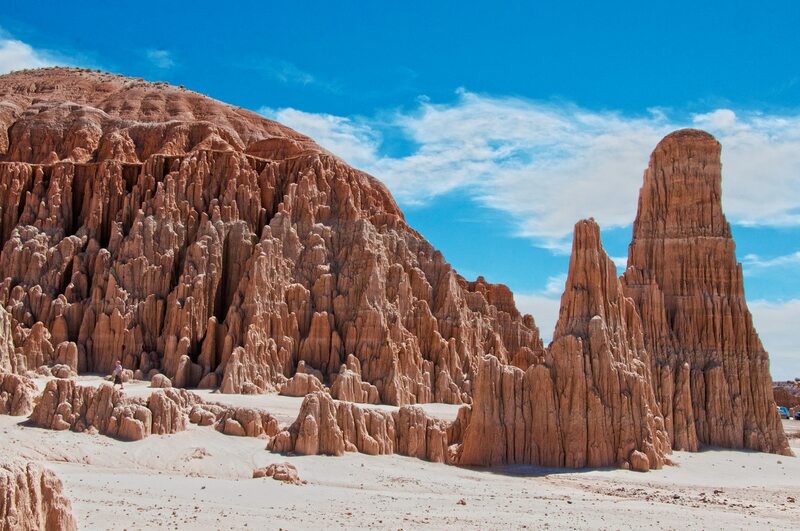 Cathedral Gorge is approximately two hours drive from the St. George area. Take state Route 18 north to Beryl Junction, then state Route 56 (which turns into Nevada Highway 319) to the park, which is located just north of Panaca on U.S. Highway 93. The Strip isn’t the only place to have fun in Las Vegas, Nevada. 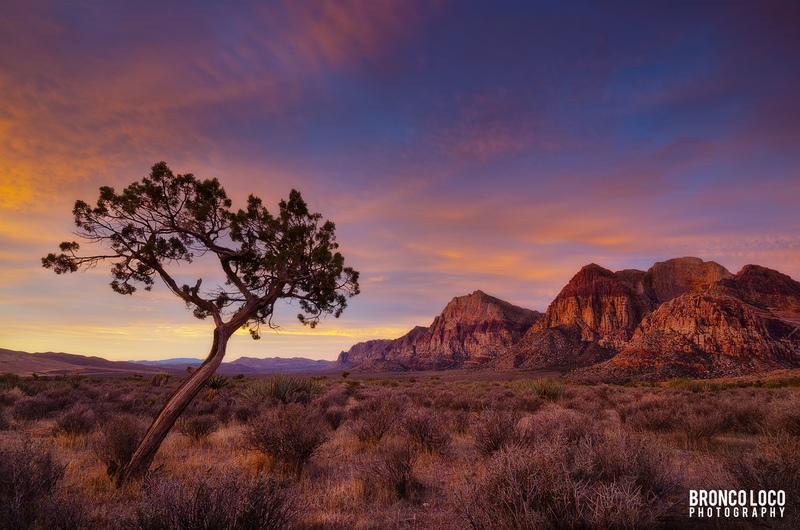 Due west of Sin City lies Red Rock Canyon National Conservation Area, a scenic place to escape the city’s glitz. The conservation area also boasts over 600 individual species and 15 plant species indigenous to Red Rock Canyon not found anywhere else in the world. Asselin describes Red Rock Canyon as an “area is very inclusive to recreation” with hiking, mountain biking, road biking, horseback riding and rock climbing, among others. Other than its rock climbing routes, the most popular destinations in Red Rock Canyon are its Calico Hills overlooks for their photo opportunities of ancient sand dunes. Its most popular trails are the Lost Creek Children’s Discovery Trail, which is appropriate for all ages because it is relatively short. For more information, visit the BLM’s Red Rock Canyon website or the website of the Red Rock Canyon Interpretive Association. 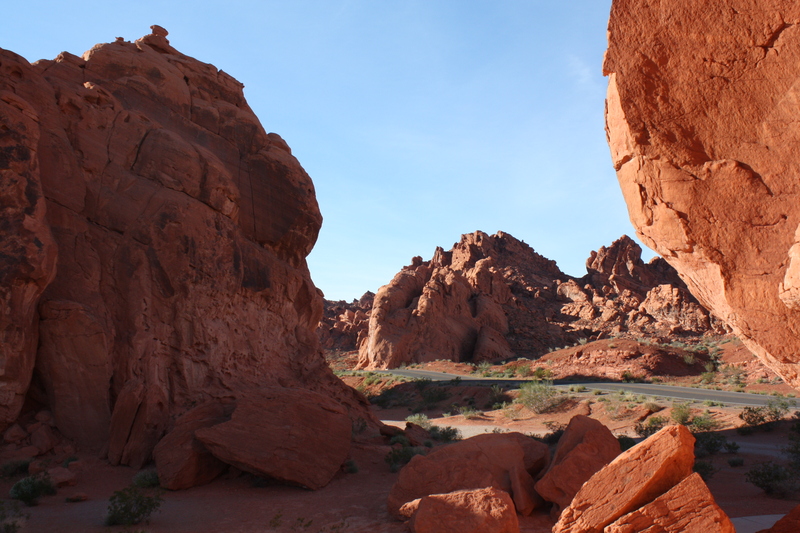 Some Utahns might argue that Valley of Fire is Nevada’s version of Utah’s Snow Canyon. This otherworldly location includes numerous places to pull off the road to do some bouldering, free climbing on not-so-high rocks, and have a picnic, including easier bouldering locations ideal for children. Its 6-mile scenic drive, which starts at its visitor center, is a must-see with incredibly spectacular red and white rock behemoths jutting out all over. Park Interpreter Chris Johnson said what makes his park unique is it’s home to so many incredible and unique sights in a relatively small area. “While the Valley of Fire is perhaps best known for its brilliant red sandstone formations, many consider the northern area of White Domes Road to be the most scenic area in the park, as there the red sandstone gives way to sandstone featuring vibrant swirls of yellow, white, orange, purple and pink,” Johnson said. Johnson said another great thing about Valley of Fire is that it is a relatively accessible park – visitors can see quite a lot from just the main roads. “Even those that are unable or uninterested in hiking can still see many of Valley of Fire’s highlights, such as the scenic drive up White Dome Road and the Fire Canyon overlook,” Johnson said. Other than exploring its rock formations, Johnson said one of the most popular activities in the park is camping. The park offers a total of 74 campsites between two campgrounds. Other popular activities are hiking, viewing wildlife, picnicking, enjoying the exhibits in the visitor center/museum, viewing the petroglyphs on Atlatl Rock and along Mouse’s Tank Trail, and simply enjoying numerous scenic vistas located throughout the park. Johnson said some of the most popular hiking trails include White Domes Loop Trail, Fire Wave Trail, Mouse’s Tank Trail, and the Arrowhead Loop/Elephant Rock Trail. Valley of Fire is approximately an hour and a half from the St. George area. Simply take I-15 southbound to the Logandale/Overton Exit (93) and follow Nevada Highway 169 south to the park.